Dragon Ball Super Episode 104: Watch DBS ep104 online on Crunchyroll, Fuji TV, and YouTube video. Here is all the info on how can you catch it English dubbed (Dub) and Subbed (Sub) with Subtitles. Let’s also talk about the spoilers, preview, and predictions. Hit will fight Dyspo in the next segment of DBS episodes. Son Gohan has annihilated all the Universe 10 warriors from the tournament. Now, it’s time for Hit vs Dyspo and the latter claims to possess a counter power to Time-Skiptechnique. Let’s see if it is real or a bluff. The DBS episode 103 ended leaving only 44 warriors in total on the stage while the total time remaining to the conclusion of the tournament is 76 taks or 37 minutes only. Universe 2’s Ribrianne is still surviving and has achieved one KO. No. 17 eliminated Kakunsa in ep102 with the help of Vikal. However, Jimez vs Ribrianne is still on. Let’s move on to Universe 3 where Cabra has already eliminated Nigrisshi in episode 100. Hit ejected Narirama in the same segment. The Preecho got out in the following week. Nink, Shosa, and Majora have already been eliminated. Thus, leaving Ganos as the only surviving member/fighter in Universe 4. The tournament of power has resulted into the complete erasing of Universe 9 and Universe 10. Botamo stand eliminated leaving Frost, Hit, Cabba, Caulifla, Kale, and Magetta still fighting. From the Universe 7 side, Goku, Vegeta, Roshi, Piccolo, Tien, No. 17, No. 18, Gohan, and Frieza are still in the game. While, Vuon, Kahseral, Tupper, Kettol, Cocotte, and Zoiray are out. Check: Dying Light 2 release date. 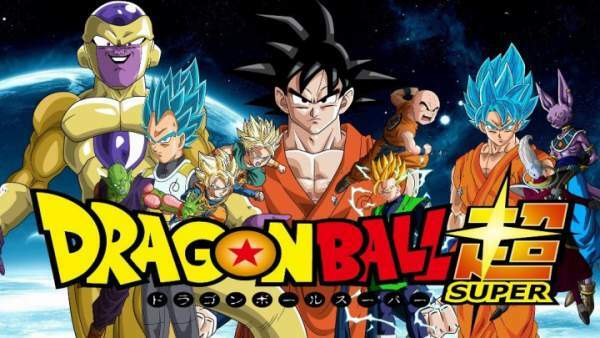 If you want to watch the latest episodes of DragonBall Super anime series with English subtitles, head over to Crunchyroll, FUNimation, Daisuki, and Anime Lab. The series airs at 9 pm JST on Fuji TV every Sundays. The Turtle Hermitas takes the center stage by participating in the battle. Universe 4 will plan to attack at his weakness. In the fight, Caway is ahead of him and making use of appeal attack against him. Let’s see if Turtle will be able to Caway. Next articleWWE NXT TakeOver Brooklyn 3 Results and How To Watch Online?